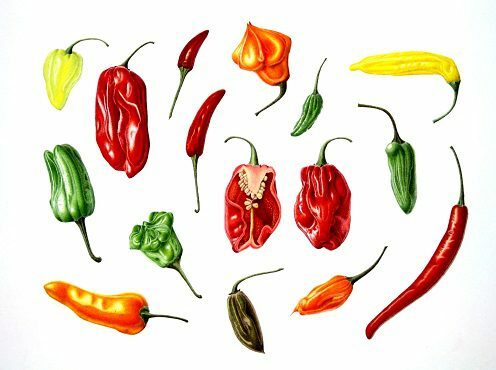 Lancaster Chilli Fiesta 2015 - a selection of Chilli peppers bought at this event. SBA DLDC portfolio. Coloured pencil on Bristol board. October-November 2015.